Love it or hate it, there's no denying that exercise is good for you. Regular aerobic exercise lowers your risk of heart disease, diabetes and cancer. And in the short-term, a good workout clears the mental cobwebs, helps you think clearly and makes you more productive. Mounting evidence shows that those cerebral effects aren't just short term. Increased blood flow to the brain, among other factors, has physiological impacts that improve cognitive functioning and fend off age-related memory loss and dementia. If ever there was a time to start exercising, it's now! The idea that exercise strengthens the mind is nothing new. An article published in The Boston Medical and Surgical Journal in 1887 states that exercise "may be made to contribute to brain growth, and to the symmetrical development of the mental faculties." Fast forward 130 years and researchers still aren't exactly sure how these benefits work — but they're learning. Cynthia Green, Ph.D., president of Total Brain Health and assistant clinical professor in the department of psychiatry at Mount Sinai School of Medicine, says it's likely a combination of factors, including better blood flow to the brain and better management of risk factors such as hypertension and excess weight. Widespread chronic inflammation in the body contributes to the development of diseases like arthritis, diabetes, heart disease and cancer. It also affects the brain and can lead to compromised cognitive function, mild cognitive impairment and Alzheimer's. 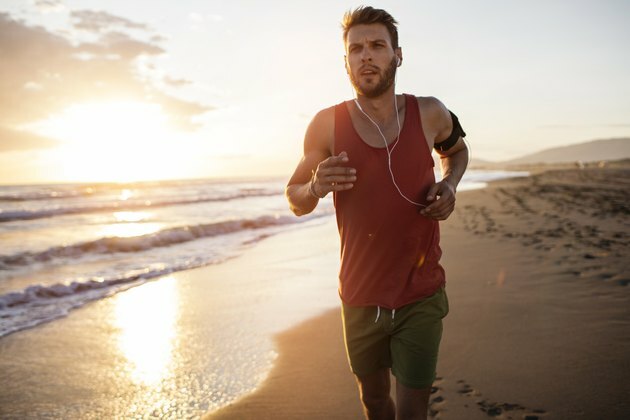 And when researchers of a 2015 study published in Journal of Inflammation looked at the effects of aerobic exercise on sleep-deprived rats, they found that regular aerobic exercise decreased pro-inflammatory responses in the rats' hippocampal region — the area of the brain responsible for memory, learning and emotion. The researchers concluded that exercise has a neuroprotective effect that can counter hippocampal inflammation due to sleep deprivation. For those who suffer from sleep deprivation, that's good news. However, it doesn't mean it's OK to get less sleep as long as you exercise. Sleep plays a major role in memory processing and brain plasticity, according to the authors of the study. The brain uses about 50 percent of the glucose energy in the body, and it relies on glucose metabolism for optimal functioning. Abnormalities in glucose metabolism in the brain can affect a number of neurological and psychiatric disorders, including neurodegenerative diseases like Alzheimer's. However, regular moderate-intensity exercise can improve glucose metabolism in the brain, according to results of a 2017 study published in Journal of Alzheimer's Disease. The study involved 93 late middle-age adults at high genetic risk of the disease. Researchers measured the daily activity of participants using accelerometers that detected light, moderate and strenuous activity, and then analyzed the data. Comprising more than 50 percent of the brain, white matter connects the different regions of the brain so they can communicate. Neuronal fibers covered in electrical insulation called myelin make this communication fast and efficient, so you can process information quickly and learn new things faster. When the formation of new myelin — called myelination — slows or stops, it affects cognitive function. It's also been associated with psychological disorders including depression and schizophrenia. The good news is that myelin production can be stimulated through physical exercise. A 2016 study in Journal of Alzheimer's Disease examined the correlation between cardiorespiratory fitness and white matter integrity in 81 older adults, some with mild cognitive impairment, or MCI. MCI results in a slight reduction in memory and thinking skills, and it affects 15 to 20 percent of adults over the age of 65, according to the Alzheimer's Association. The hippocampus is the center of learning, memory and emotion in the brain, and it's prone to shrinking with age. A loss of volume in the hippocampus can result in compromised verbal memory and learning ability. A 2015 study in the British Journal of Sports Medicine revealed that regular aerobic exercise appears to increase hippocampal volume in women, who are more at risk of hippocampal shrinkage than men. "Everyone!" says Dr. Green. "We all have brains and should take good care of them at every age." Even children's brains benefit from aerobic exercise, according to research published in 2014 in Frontiers in Human Neuroscience. The study results showed that children with a higher level of aerobic fitness had white matter that was more compact and fibrous, characteristics indicative of a healthy brain. "Brain health should be a priority for all, as we now know dementia is a disease that takes 20 years in the making. 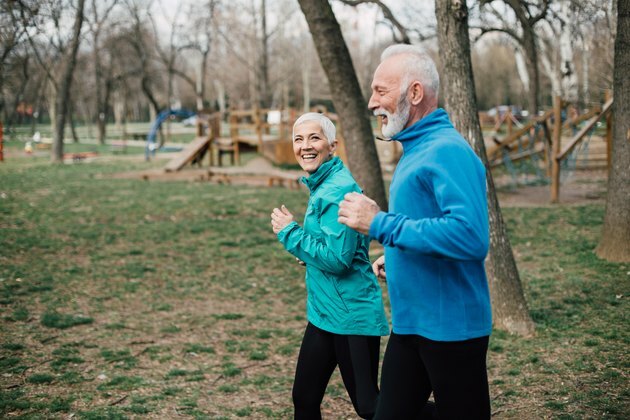 It is not a disease that just turns on when you reach 65, 70 or 80 years old," says Teresa Liu-Ambrose, Ph.D., a Canada research chair in physical activity, mobility and cognitive health. It's also never too late to begin an aerobic exercise program, in light of the studies showing improvements in brain matter and cognitive impairment — in those already impaired — with an increase in cardiovascular fitness. Although it can be harder to start exercising as an older adult, the payoff will be worth the effort. "Studies where people are randomized to exercise programs show that moderate-intensity aerobic exercise and resistance training helps to maintain memory and thinking abilities related to decision making, planning multi-tasking," says Dr. Liu-Ambrose. "As well, these studies show that both types of exercise training have direct impact on both brain structure and function." Moderate-intensity exercise includes activities such as brisk-walking, biking, swimming, rowing, doing aerobics or aerobic dance, jumping rope and hiking. At a moderate intensity, your heart is beating fast and you're breaking a sweat, but you can still carry on a basic conversation. No matter what type of exercise you do, consistency is key. "My personal perspective on brain health is akin to saving for retirement or a rainy day," says Dr. Liu-Ambrose. "I want to build reserve for my brain by doing good things for it every day — regular physical activity, try to eat a balanced diet, protect my sleep — which will likely allow my brain to be more resilient to the effects of aging and perhaps even disease." "While more research is needed regarding dose, current recommendations are moderate intensity — so exercising with some effort — of both aerobic and resistance training. Specifically, 150 minutes of moderate aerobic exercise plus two to three sessions of resistance training," Dr. Liu-Ambrose says. She also says that in addition to meeting the exercise requirements, people should spend less time in sedentary behaviors, such as sitting and lying down. "There is emerging evidence that sedentary behavior may be associated with impaired cognitive function. Thus, in addition to getting your daily walks in and lifting some weight, take frequent breaks from sitting throughout the day," Dr. Liu-Ambrose says. Starting an exercise routine can seem complex, but it can be as simple as going for a brisk daily 30-minute walk. The key is to just start doing something — anything that's moderate intensity — and not worry too much right now about what it is. When you're ready, break up your walks with periods of jogging. If jogging isn't for you, dust off your bicycle or join a gym and ride a stationary bike while you read or watch TV. Try a new aerobics class or join a running or walking club. Whatever you do just remember: All exercise helps improve brain health and combat cognitive impairment. Harvard Medical School: What is inflammation? Psychology Today: How Do Brains Age? Journal of Alzheimer’s Disease: Moderate Physical Activity is Associated with Cerebral Glucose Metabolism in Adults at Risk for Alzheimer's Disease.